Darrel C. Schatz, age 81, of Sullivan, Missouri, passed away on Thursday, February 7, 2019 at Missouri Baptist Hospital in St. Louis, Missouri. Darrel was born on October 20, 1937 in Sullivan, Missouri, the son of Oscar and Diveta (Bell) Schatz. He grew up in Sullivan and graduated from Sullivan High school, Class of 1955. Darrel was united in marriage to Mae June Harmon On October 25, 1958, at Temple Baptist Church in Sullivan. He then honorably served his country in the United States Army. Darrel was employed by McDonnell Douglas for thirty-five plus years, mostly as Assistant Business Director of the IAM Machinist Union District 837. He retired from McDonnell in 1995. Darrel was a dedicated and faithful member of New Testament Baptist, where he served as Deacon, taught Sunday school, and drove the bus. Darrel was also the Director of church league sports for many years, which included, basketball, baseball, and volleyball. Darrel enjoyed turkey hunting; but most of all, he loved his kids, grandkids and great grandkids. He will be lovingly remembered and missed by his family, church family and many friends. Darrel is survived by two sons, Darren Schatz and wife, Heather, of Sullivan, MO, and Aaron Schatz and wife, Monica of Edinburg, Texas; one daughter, Tonya Schatz of St. James, MO; six grandchildren, Autumn Schatz, Dylan Schatz, Oscar Schatz, Jennifer Bogart, Ashley Funkhouser and Samantha Funkhouser; five great grandchildren; other relatives and friends. He was preceded in death by his wife, May June Schatz, one son, Garren Schatz; his parents, Oscar and Diveta (Bell) Schatz; and six siblings, Buck Schatz, Bill Schatz, Ray Schatz, Charlie Schatz, Nancy Jackson, and Frances Schatz-Sullivan. Visitation will be held from 1:00 PM to 3:00 PM, Sunday, February 10, 2019 at New Testament Baptist Church in Sullivan, MO. Services will be conducted 3:00 PM, Sunday, at New Testament Baptist Church, with Pastor Charlie Idleman officiating. 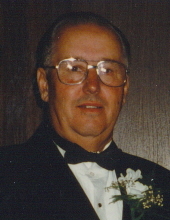 Friends may send online condolences to the family of Mr. Schatz at www.eatonfuneralhome.com. To send flowers or a remembrance gift to the family of Darrel C. Schatz, please visit our Tribute Store. "Email Address" would like to share the life celebration of Darrel C. Schatz. Click on the "link" to go to share a favorite memory or leave a condolence message for the family.